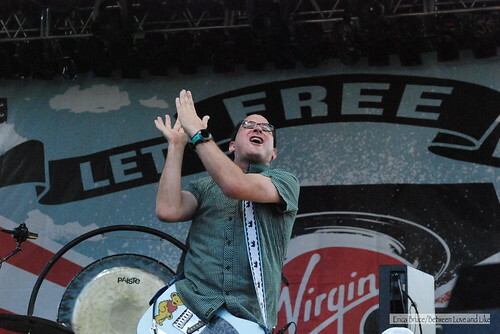 The Hold Steady are hitting DC on Monday (930 Club). Maybe if we're lucky, we'll get a version of "Don't Call Them Twinkies." Lead singer Craig Finn is a big fan of baseball as well as bringing the rawk, specifically, the Minnesota Twins. The Twins have already clinched their division and in celebration, The Baseball Project, a side project of Steve Wynn [Dream Syndicate], Peter Buck and Scott McCaughey [REM], and Linda Pitmon [Zuzu's Petals] whose them is baseball, enlisted Finn's vocals and lyrics for a ditty that was just released called "Don't Call Them Twinkies." 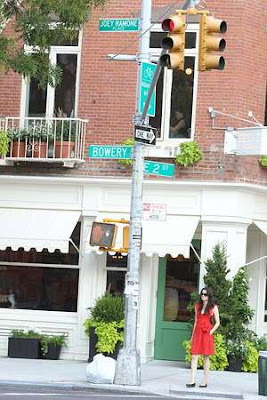 Fun dinner party fact from today's NY Post: "Joey Ramone Place" street sign in NYC is the street sign most often stolen. Nine years after his death, punk legend Joey Ramone has gone to an even higher place. The ceremonial street sign placed in his honor at the corner of Bowery and East Second Street had to be raised a full eight feet because thieving fans kept snatching it, city officials told The Post. "Joey Ramone Place" is perhaps the most stolen of the 250,900 street signs in New York, according to the Department of Transportation, which recently asked contractors to install the sign for the fourth time since 2003. He would have appreciated the distinction, said the group's longtime drummer, Marky Ramone, sole survivor of the Ramones' longest-running lineup. But maybe they should find a better way to attach it," he said. "Now you have to be an NBA player to see it." Although most street signs are about 12 to 14 feet off the ground, Joey Ramone Place was raised to 20 feet, an oddity first noted on the blog EV Grieve. Though he wasn't aware so many thieves had given the sign the "Hey Ho," Marky said he can't think of a better tribute. "Every time I turn down Second Street, I look up and say, 'Hey Joey, you belong up there,' " he said. The Bowery has become much more sedate since the death of the original three Ramones. And with CBGB -- the Bowery venue where the Ramones, and punk, started -- closed for good, the sign has become a crucial reminder of the corner's role in music history, Marky said. "It's a really nice tribute to a frontman who started the genre we call punk rock," he added. MySpace Music is streaming the Matador Records 21st anniversary this weekend (October 1-3). "As a three-day festival showcasing a vast array of talent the label has worked with throughout its storied lifespan, Matador at 21: The Lost Weekend will feature a reunited Guided By Voices as well as feature sets from such legendary acts as Pavement, Superchunk, Belle & Sebastian and many others." UPDATE 10/1:The schedule for the Matador @ 21 Festival has been changed. Please go here for the latest times/bands. Set times for the festival are noted below. 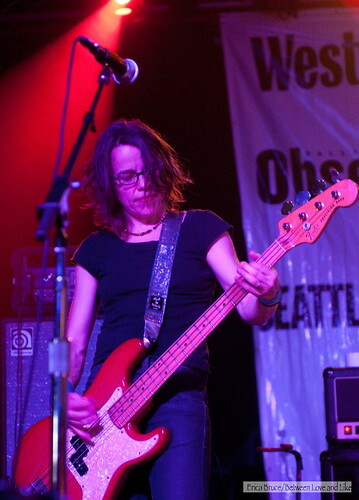 Some bands (those with an asterisk) will not be included in live stream; this includes really awesome ones like Superchunk, Jon Spencer, and Sonic Youth unfortunately. 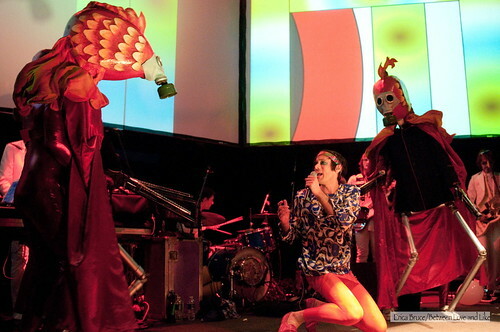 Foxy Shazam and Free Energy announced today that they are hitting the road together this fall. The DC date is at Rock and Roll Hotel...be sure to wear earplugs because Foxy's bombastic sound + small space that is RnR=guaranteed deafness without them. I was getting ready to go to NYC to see Pavement when this aired, so sorry for the delay. First thing I thought was wow, how uncomfortable does lead singer Stephen Malkmus look here? But "Gold Soundz" was pretty solid...maybe Malkmus just doesn't care for interviews? Yes, I was one of those damn fools who bought tickets for the Pavement shows at the Central Park Summerstage a year ago. Thought about selling them over the course of the year because it was a Wednesday and required a Bolt Bus ride mid-work week, but in the end, after seeing a few setlists, my friend and I decided there was no way we could miss this. I tried hard to tweet the setlist but it proved difficult for two reasons: one, I have a hard time remembering Pavement's song titles, primarily because they're usually so far removed from the song's words, and two, it started to sprinkle early on, then pour rain about seven songs in. Pour hard. Like pour a bucket of water/soak through to your bones pouring rain. Shortly thereafter the thunder and streak-lighting started. Nothing like being outside in the middle of a huge open park like Central Park in the middle of a thunder and lightning storm. But it just didn't matter to anyone; we'd waited a year for this and no one was going anywhere. The show was typically live Pavement: flubbed intros, starting songs over and such. But they sounded strong and solid, and appeared to be having as much fun onstage as we were having in the audience. Bassist Mark Ibold watched the crowd get pelted by rain and not even caring almost in awe, and the band repeatedly said how grateful they were to everyone for sticking it out. The show was stopped about half way through for a good 20 minutes because of the lightning, but upon the return, they ran through the rest pretty rapidly. It really didn't seem that way, but they must have because based on the setlist above, we only missed a couple songs. The song that had the entire audience pogoing in unison during the chorus and generally losing its collective mind? "Stereo" from Brighten the Corners. It was a white hot version too. Lead singer Stephen Malkmus literally ripped into it; I saw him look up, see the lightning streak across the sky and literally, with his entire body, rip that opening piece with a definite ferocity which kept up the whole song. Almost as if to say, "If this is the last song, it's gonna be badass." And though it took a good 24 hours for my clothing to dry, Wednesday's Pavement show in Central Park most definitely was. 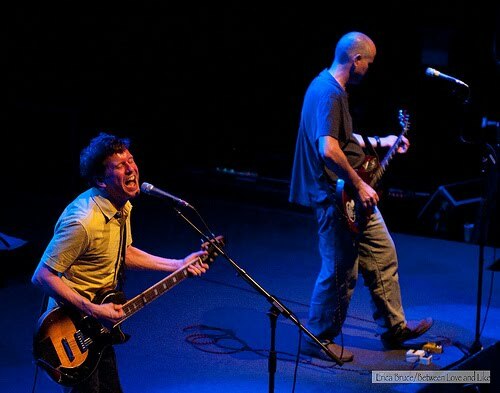 Superchunk rawked the tv on Jimmy Fallon last night for the first time in 16 years. The dude pogoing around to Mac's left like a maniac during the first video ("Digging for Something") is John Darnielle, lead singer of The Mountain Goats. Second video is a web-only performance of "Precision Auto." -I have not been able to stop listening to "Brand New Love," a Sebadoh song which Superchunk covered Friday night and recorded on the Tossing Seeds: Singles 89-91 record. I then sought out the Sebadoh version and HOW. ON. EARTH. have I lived this long and not known the beauty of Lou Barlow's writing? His voice delicately plays these gorgeous words and then you're hit with the massive wall of feedback, which gets louder on the last go-round of the chorus. It's such an incredibly stunning dichotomy that I'm now on a mission to educate myself in all things Sebadoh. -Whomever it is that is doing the lighting at the 930 Club as of late, I BEG you, enough with the red/yellow lighting already. You usually do such a great job and I never have an issue but the last two weeks, you're just killing me man. Thanks for your attention to this matter. I’d forgotten this feeling. I’m lying in bed in my friend Phil’s apartment the morning after a New York City Superchunk show– a scene that’s taken place a hundred times since I joined the band in October of 1991. And true to form, I’m in pain. -I've always had a thing for drummers but awesome drummer + funny + cute as a button=I think I'm in love with Jon Wurster. 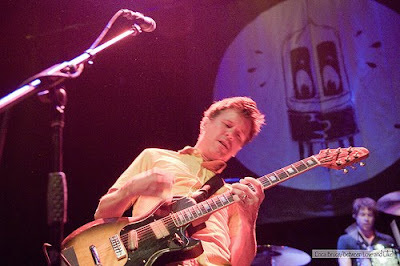 -Mac McCaughan, I just want to say that god bless you for showing that we older folks can still do a mean pogo. The man did not stay still the entire 90 minutes it was a great thing to watch. Oh, and Mac, "Learned to Surf" is probably one of the greatest power punk pop songs of all time. -Let's Wrestle are super nice guys. I didn't get to see them at SXSW like I wanted, so it was great to see them here. And their stuff is on par with the catchy-as-hell "We Are the Men You'll Grow to Love Soon." The U2 camp is apparently plotting its next round of remastered and expanded reissues. But word that the band's 1991 classic Achtung Baby is being sonically tweaked came from an unlikely source: singer-songwriter and indie producer John Vanderslice. "They're remastering Achtung Baby in next room!!" Vanderlice tweeted from a Los Angeles recording studio, where he was putting the finishing touches on his forthcoming album with the Magik*Magik Orchestra. 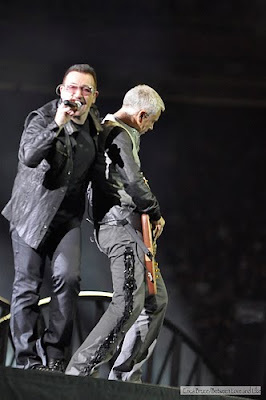 According to Slicing Up Eyeballs, Vanderslice subsequently added, "Any suggestions for witty opening salvos to drop on U2 crew when I barge in on Achtung Baby remastering session?" Wrens frontman Charles Bissell, of all folks, jumped in on the fun to write, "At some point say, 'that sounds even better than the real thing.'" While there's no word when Achtung Baby will be reborn, the 20th anniversary of its release is just 14 months away. There's currently no expectation of a similar treatment for Rattle & Hum, but it wouldn't be the first time the group reissued its back catalog out of sequence. Fans will recall that expanded version of 1987's The Joshua Tree was released in 2007, preceding 1984's deluxe treatment of The Unforgettable Fire, which dropped in October 2009. Pretty funny stuff about many of the Bruce Springsteen fans I know, many of whom are amongst my best friends...this video speaks the truth! 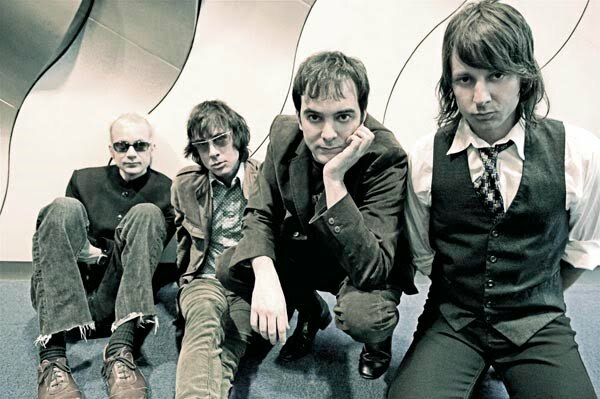 From NY but named for a now-defunct fountain store in Wayne, NJ, Fountains of Wayne announced they'll be releasing the follow up to 2007's Traffic and Weather early next year. In the meantime, they're playing a few weeks of live shows starting September 30th, including a two night stand here at the Birchmere 10/4 and 10/5. Marshall Crenshaw and Jill Sobule will open on select dates. 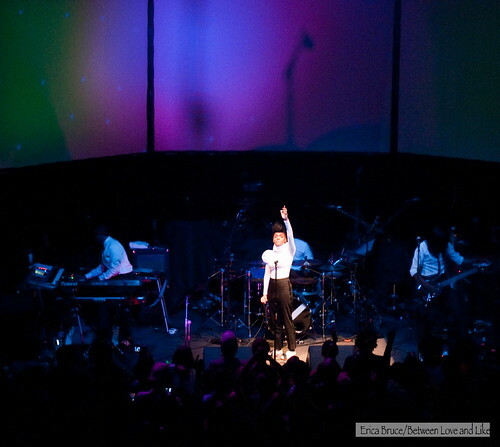 My review of the first of two sold out shows for Janelle Monae and Of Montreal at the 930 Club is over at the Washington City Paper but additional photos are below. I went in not knowing one song from either band but simply put? One should not see a Janelle Monae show if you wish to remain calm, your body will be unable to stop itself from moving about to her space-age rock/funk/soul combo. 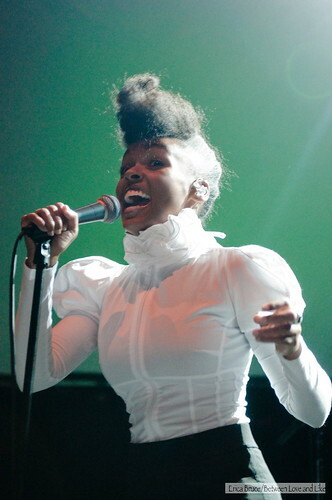 This woman is the complete package in terms of a performer and is an absolute must-see live. She proves you don't have to have a ton of "stuff" onstage to be impressive, you just have to have talent. 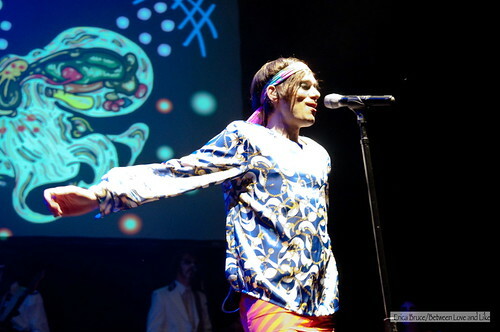 On the other hand, Of Montreal seemed to believe that a massive stage show and props for every song will fake you out and take your attention away from the fact that the songs just aren't that good. And it worked for a little while...but close to two hours of this and it started to burn my retinas. While I applaud an artistic visual to go with the aural experience when you see a band live, I think it's a problem if the what you see if more interesting than what you're hearing...even if the lead singer is sporting a pair of tights and a June Cleaver apron. NPR archived the stream the second show of their two-night stay in DC and it's available here. The Washington Post reported today that DC-wunderkins The Dismemberment Plan are planning a brief reunion for five shows in January "to support the vinyl reissue of its beloved 1999 album, Emergency & I," says the Post. After that, they'll play it by ear. "We're not planning a new record," bassist Eric Axelson tells Click Track. "But we're doing these shows and taking it day to day after that." 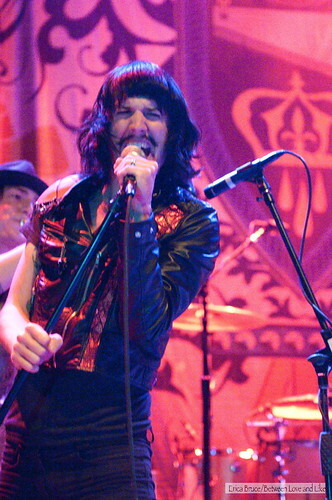 Axelson says the reissue has been in the works for over a year, but January's reunion shows weren't initially a part of the discussion -- until the band members all found themselves at drummer Joe Easley's house in Northwest D.C. "We thought, 'Let's go into the basement and play a little bit,'" Axelson says. "That felt kind of good." Since then, the group has been hustling to re-learn the songs it toured so doggedly behind during its ten year run from 1993 to 2003. "For a long time you play those songs six, seven nights a week and you know them like your own breath," Axelson says. "So it's funny to have to dig them up." 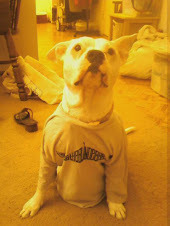 Seattle indie label Barsuk Records will release Emergency and I on Jan. 11. The double LP's gatefold sleeve will include an oral history of the album, conducted by Josh Modell of The Onion. The Post will be providing ticket sale info later this week. Updated 3:06 pm: Per bassist Eric Axelson, tickets for all shows go onsale this Friday (9/17) at noon. The Webster Hall show has an AmEx presale on Wednesday, 9/15. Links to each of the venues for purchase can be found here. Jan. 22: 9:30 Club, Washington, D.C.
Majesty Shredding, the first full-length record since 2004 for Superchunk, drops tomorrow and it's so. effing. good. It took a listen or two to get to that point but I've listened to it so much in the past few weeks, I swear it's the soundtrack to my dream-life as well. "Digging for Something" is one of the absolute standouts on the record. I heard this song when they did it at the Village Voice Day Party at SXSW last year and it's even better live. A video for "Digging" was released today and it's just as good as the song. I love a good quirky video and these guys did a bang up job (look for a guest appearance by John Darnielle from The Mountain Goats). On vacation this week, back next with goodies! Like Arcade Fire? How about live? 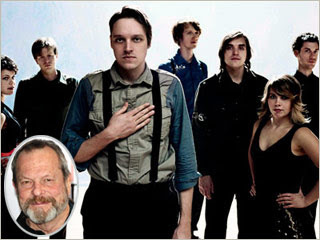 For the next 19.5 hours now, you can knock yourself out with some live Arcade Fire and not even leave your couch. The live show movie the Fire shot at Madison Square Garden in NYC on 8/5 this year, will be streaming below for the next 19.5 hours (basically until noon tomorrow). Directed by Terry Gilliam-yes that Terry Gilliam-it's steaming in HD and is pretty spectacular to look at. Set list is below. Print versions of books, magazines, and newspapers have been in a downward spiral in terms of readership numbers for a long time now, we all know this. Which is kind of a drag because I'll admit it, I still enjoy print media a bunch. Don't get me wrong, I love how the Internets have opened up so much to so many and the speed with which one can obtain info now from the couch, oftentimes for free. I wouldn't be writing this right now, nor would I have started taking photos as often as I do without it, I bet. I still get Spin and Vanity Fair by mail, and often pick up the print version of a magazine if its cover catches my eye. And every Sunday for countless years now, I still shell out $6.00 for the print version of the Sunday NY Times that doesn't even include the City, Metro, or Real Estate sections, some of my favorites. Usually then I'll take the paper to brunch and read it there, leisurely reading while leisurely eating. I don't always finish it right then, but I do take it on the subway with me and read it on my commute to the day job during the week. Reading a print version of something doesn't require batteries or a plug, you can take it anywhere, fit it into any bag/pocket/coat, and generally it doesn't require a fancy carrying case to shield it from damage. Sure I may get ink on the fingers and print media can often create clutter if you let it, but to me, print media represents time to myself, learning, calmness, and a reprieve from the chaos that life can bring. Today Paste Media Group announces, with deepest sadness, the suspension of the Paste magazine print product. Struggles with mounting debt were made public last year when our readers responded with generosity to save the magazine. But the prolonged downturn of the ad market has forced a hiatus. Paste, while considering strategic alternatives, is focusing on its digital assets, including PasteMagazine.com. We thank all of those who have shown such tremendous support to a vision of independent media focused on Signs of Life in Music, Film & Culture, including subscribers, advertisers, writers, photographers, illustrators, publicists, record labels, movie studios, book & game publishers and others in the press. All Paste print subscribers will have access to the digital version at Paste online through the June/July issue.